We had a spurt of high-end mirrorless cameras in the last year: Fujifilm X-T1, Olympus E-M1, Panasonic GH4, Sony A7s/A7/A7r. To those, some might add the Nikon V3 and the Sony A6000. The quick operative question is this: which one do you pick? Panasonic GH4 — Why start with this one? Because it’s one of the easier ones to classify. As a DSLR replacement it just doesn’t manage any large size/weight benefit, so you have to ask yourself why you want it over a DSLR. Simple answer: video. While the GH series has gotten better as still cameras over time, they’ve gotten incredibly better as video cameras in that same progression. It seems clear where Panasonic is targeting the GH, therefore. If you’re deep into needing quality video and a still camera, this is your choice. Nothing else in the mirrorless world comes close in terms of the video features and performance. If you really think 4K video is your future, that thought is amplified: the GH4 is probably the most well-rounded 4K video camera at a reasonable price you can find today. As a still camera, it’s very likable, but it’s a 16mp camera in a 24mp+ world, and it doesn’t deliver on the smaller/lighter premise of m4/3. Buy for the video, stay for the stills. A7s — You don’t shoot where there’s light, and/or you maybe have a strong need for high end video. A7 — The Goldilocks solution: it’s the “just right” camera in the middle. A7r — About the only thing above this camera are Medium Format cameras (and unfortunately for Sony, the Nikon D800/D800E/D810, which do a better job with the same sensor data). The design point is a bit of a conflict: as much resolution as possible in as small and light a package as possible. Things like shutter slap ensue from that. So it’s a trickier decision than you might think. Personally, I think we need an A7r Mark II as soon as possible. It needs to have uncompressed raw and other changes to make sure the camera can deliver all 36mp of goodness to the user. Overall, the Sony A7 series is highly promising. Full frame has never been so small and versatile in the digital age (assuming the lenses get here soon). Yet each of the A7 models have some weaknesses against both DSLRs and against other mirrorless cameras (e.g. focus performance), so personally I’m a little wait-and-see about the Sony offerings at the moment. The big issue for the A7’s is lens selection. Still minimal at the moment, though Sony seems committed to expanding that. 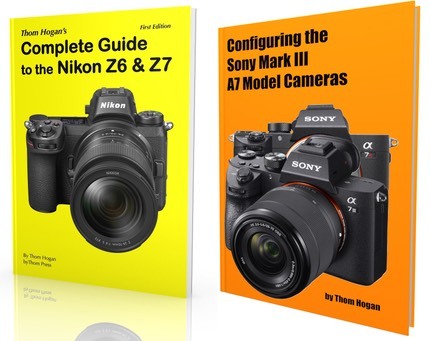 Buy the Sony A7 models if you believe that Sony (and third parties) will create the lenses you need, can deal with the size and compromises of full frame lenses, and are patient. Fujifilm X-T1 — Looks like a DSLR, functions like a DSLR, but ultimately isn’t a DSLR. That’s my basic takeaway. The focus system, while quite good, is the thing that truly keeps it from really prying the DSLR crowd from their mirrors. So whether you opt for this camera or not will really have to do with how well the focus system functions for you. Short answer: it’s not really a sports camera or a birds in flight camera, though with patience and practice you can make do with it. It has liabilities with fast motion and long continuous sequences. But it is a perfectly acceptable events camera and a great casual camera, especially with the prime lenses. That 16mp X-Trans sensor has never really pushed me into Fujifilm’s camp, though, mainly because I know what a great 24mp APS sensor can do. The JPEG shooting crowd loves Fujifilm’s rendering, and JPEGs are definitely low in noise through a wide range of ISO values. My impression that the crowd that overbought into the Nikon D300 type of camera is the prime purchaser of the X-T1. A good solid performer, and one that should be on every serious mirrorless user’s list to look at. Olympus E-M1 — Looks like a DSLR, functions like a DSLR, but ultimately isn’t a DSLR. While that seems like a repeat of what I wrote about the X-T1, it actually isn’t, because I think in each of those clauses are some very visible differentiators. Looks, for example: the X-T1 is retro design, the E-M1 is modern design. Functions: the retro design functions differently than the modern design, but they both function well. As for why the E-M1 ultimately isn’t a DSLR: again it’s focus that comes into play, but much differently on the E-M1 than on the X-T1. That’s difficult to describe in a paragraph, so I won’t try here other than to say that the E-M1’s weaknesses are little different than the X-T1’s. In some ways, the E-M1’s focus is a little more well-rounded than the X-T1’s, as it doesn’t burp on continuous sequences the way the X-T1 does, even though it may miss focus more often. Where the E-M1 wins, though, is on lenses. We already have some great telephoto options for it, with more coming soon, and in the 70-200mm equivalent range, the E-M1 is just much more DSLR-like than the X-T1 at the present time. Lenses could change that over time, but right now the advantage swings Olympus’ direction for telephoto. Come for the lenses, stay for the camera. Sony A6000 — Still a little early for me to come to final conclusions, but the A6000 is an interesting little beast. It’s clearly a modern camera with not nearly as much direct control as the X-T1 and E-M1 bring to the fingertips, but it may be the best of the bunch at autofocus performance across the widest range of subjects. So the A6000 has to be considered by the DSLR user that is thinking that they want a smaller, lighter kit to carry with them when they need to pare down (e.g. walking crowded streets or hiking long distances). But it’s not a DSLR type of camera. The EVF is a big compromise compared to the X-T1 and E-M1, and there’s not a lot of mass in the system, so OSS lenses should get priority. The image sensor isn’t a compromise at all: it’s as good as the 24mp crop sensor DSLRs. This is one of those “good things in small packages” deals. For some, the package will be a little too small and the controls a little to cramped (or missing in a few cases). But that’s not the biggest issue, in my view. The bigger issue is that lenses tend to be big due to the APS sensor size. Not full frame big, but big enough to make the near equivalent m4/3 lenses look svelte. Personally, I’m not a fan of small camera, big lens. Cameras and lenses should be sized appropriately to one another, in my opinion, and the Sony A7 models seem a better, more natural combination so far. Still, there are a few small E-mount lenses that make for a very small A6000+lens combo, so if those are the ones you’re looking at, I can heartily recommend the camera. Nikon V3 — Nikon just can’t seem to tie all the parts together quite right. There’s so much that’s right about the V3 and plenty that’s wrong. However, I’m slowly coming to grips with its quirks and most just ignoring or working around them. The things that it can do that the others can’t (sports action with follow focus at 20 fps, for instance, or 60 fps with a fixed focus), just make it a piece of kit I have to have in my repertoire. Coupled with the ability to use the big DSLR lenses the same way on the body, and it’s in both my sports and wildlife bags every time I go out these days. It just goes to show that if you can deliver a quality or performance feature that the others can’t, you will find takers on a product no matter what else is wrong with it. The GoPro was a good example of that: terrible UI, little control, but it gave you video you couldn’t get a different way. That’s what the V3 is: it’ll get you stills you can’t get with another camera. As an all-purpose camera, it doesn’t play nearly as well, in my opinion. Which is a shame, because it could be the camera I use for casual shooting when I’m carrying the big FX DSLRs. Instead, that’s tending to go to one of the V3’s competitors or a Sony RX100 these days. In other words, the V3 is a specialty camera in my bag, not a generalist. So let’s flip this around and look at it from a different angle. What if I were into certain types of photography, what would I pick from this crop? Studio — The Sony A7r would take it with the right lenses. The Fujifilm X-T1 gets honorable mention if you don’t need many pixels. Landscape — The Sony A7 and A7r certainly have to be considered, but the lenses aren’t there yet, and Sony needs uncompressed raw files, too. The Fujifilm X-T1 and Olympus E-M1 have the lens sets, but the X-Trans sensor tends to smear low level color detail and both cameras are 16mp, which means that for big, dramatic prints you’re going to need to resort to stitching. Sports — The V3, hands down. Only it can’t be night sports or indoor sports without using faster lenses. Fortunately the F-mount adapter can come to your rescue for normal to telephoto fast lenses, though this puts a small compromise on the focus system (center area only). Event — X-T1 and E-M1 both handle this with aplomb, and have plenty of lenses already for such use. You don’t need a lot of pixels, either, so these cameras fit right in there, too. The Fujifilm gets a slight nod in low light, though the Olympus gets that back if you’re into elaborate flash set ups. Casual — The Sony A6000 really shines here. When you need a jack-of-all-trades with excellent quality capabilities, it’s hard to argue with the price, size, weight, and flexibility of the A6000. The new Olympus E-M10 comes close, though. Low Light — The Sony A7s is the winner here, with the X-T1 being another choice further in the distance. I wouldn’t rule out the m4/3 cameras, but then you’re really going to want the fast primes on them to keep them in the running. Video — Another category with one clear winner: the GH4. The race isn’t even close. If you need more than “good enough” 1080P/30 video, your choices boil down to the GH4 and A7s in mirrorless, and the GH4 just has more to the video side than the A7s does. And there you see the dilemma: every one of these cameras excels at something, and many do a number of things well. But it’s going to be the mix of those things that drive you to one high-end mirrorless camera over another, I think.